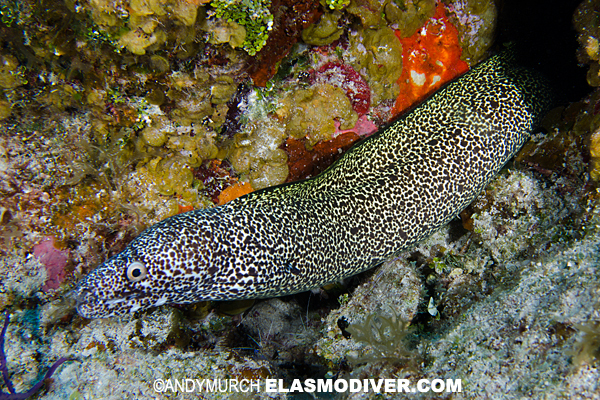 DESCRIPTION: Black and white mottling over the entire length of the body. RANGE: Western Atlantic / Caribbean Sea. Occasionally from Florida to Brazil. 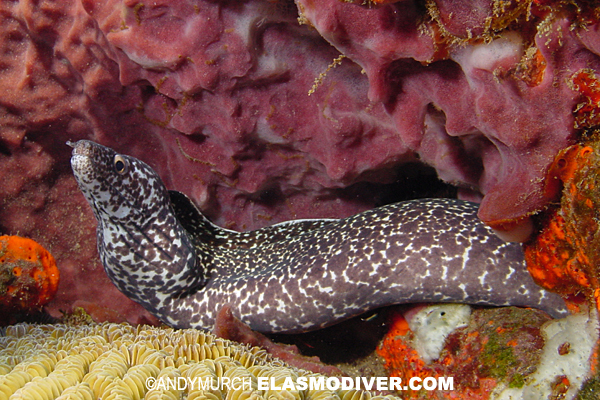 More common in the Eastern Caribbean. All of the images on elasmodiver.com are copyright protected. 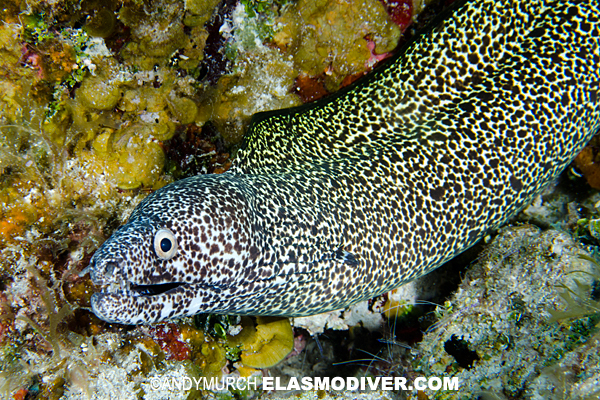 No unauthorized use of these Spotted Moray Eel pictures is permitted. Please contact Elasmodiver for further information.